Look deep inside. There’s a well – a deep pool of love. 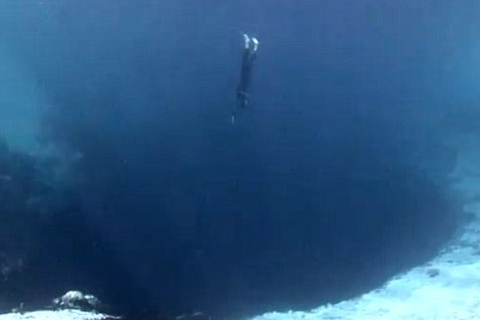 It’s deeper, actually, than the ocean. It never ends. You can draw from it for yourself and for others. It’s as deep as deep can be. It’s fathomless and boundless in its reaches. It’s more than you ever imagined it to be. It’s transcendent. You can’t imagine what love is able to do – to accomplish. It never ends. It’s immense and incalculable. It’s immeasurable and exponential in its reach into the human heart and has the power to transform the mind also. You’ve seen it, restrained. Imagine it unrestrained – spilling out, spilling over, and affecting all whom it touches, pouring over everyone and everything like a great lava flow. It’s so vast – what love is capable of doing. See great mountains. See the islands. See what the lava flow is able to do – to transform. It heats up – superheated until it’s molten, and the pressure builds and it escapes through fractures – broken places – and nothing can contain it. Even the oceans are defenseless. What ocean has been able to stop it? What in its path has the lava flow not touched? 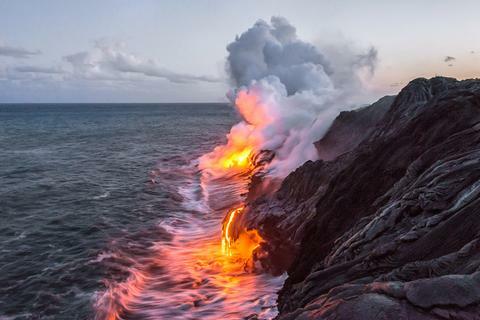 Every nation and every ocean has been impacted by the lava flow. See! Love will change everything. And it can even begin with you. You have the capability in you because the love of God IS in you – “shed abroad in your heart by the Spirit,” Who is Him – His very Essence. The Essence of God Himself and all His love resides in you. You! You’re a love container! Whenever that love becomes superheated and goes on the move, there is no telling what landscape it will transform! Can you see it?! Accept it as truth and begin to watch it flow out more and more. Sometimes they’re even speechless, but don’t worry. That’s just speechlessness. Their soul is trying to process what their hearts WANT to embrace. But don’t speak to the soul. Speak directly to the heart – just like I’m doing right here, and your words will be heard by the heart. The heart is forever connected to God and always wants to receive His truths. Don’t speak to the soul. It knows how to circumvent all your efforts to reach the heart. The soul is where the roadblocks reside. The soul knows how to reason with the heart and speak over you, so don’t let it in on the conversation. Don’t give it a voice in the exchange. Only speak to the heart with the truths of God’s love. Love is the primary thing. It has all the power. Touch the heart with the love of God and it WILL be affected. It will be changed. Even if it seems imperceptible at first, it has a way of growing – expanding, exponentially – in a never-ending wave of glory that has the power to wash over the whole soul and transform the whole person! Love overcomes all!